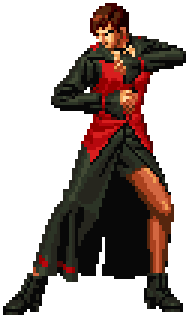 Vice (バイス) is one of the two secretaries of Rugal Bernstein and also a trained and cruel assassin. The first appearance of Vice allready took place during The King of Fighters '94. She was one of the two Orochi assassins (the second being Mature) that work for Goenitz, one of the Four Heavenly Kings of Orochi. This page was last edited on 18 January 2009, at 14:36.